Is "Turn it into a Blowtorch!" a diary or not? | Turn it Into a Blowtorch! Is “Turn it into a Blowtorch!” a diary or not? I recently had a reviewer of “That Flame in your Heart? Turn it into a Blowtorch!” state that he was put off by diaries, even those of saints. Gosh, that excludes a huge part of Catholic tradition, even the Doctors of the Church! I can see how the book could be taken as a diary. (Next edition I will re-write the Introduction.) It is an easy mistake to make without an in-depth reading. As other reviewers have pointed out, this book, “Turn it into a Blowtorch!” has less to do with the author’s journey than the reader’s. It is in fact, structured as a 30 Day, or really 33 Day, retreat or journey into the interior spiritual life of the reader. More on that later. I have absolutely nothing to gain by publishing a diary (proceeds go to charity) and everything to lose by exposing my interior spiritual journey. I do so only in service to the reader and the Kingdom of Jesus Christ. I am simply pointing the way, providing the path in hopes of shortening the reader’s time to learn the same lessons. By profession I am a corporate and individual growth strategies expert. The book was written from that fundamental orientation. I have never had an individual or corporation tell me I have helped them get ready for the next major change too early. I have had some regret that they did not heed my advice seriously enough or quickly enough. I feel a great sense of urgency in my own life and also to help others if they so desire it, to be more deeply rooted in an active, meaningful, and ongoing daily dialogue with the Person of Jesus Christ. The fruit of which is a peace, serenity and joy that only He can provide a pure gift, no matter what is going on in our lives or what is about to happen. When you possess Him and that fruit, the flame will become a blowtorch! The icon of His Sacred Heart reveals His own blowtorch of love and what He wants for our own hearts! 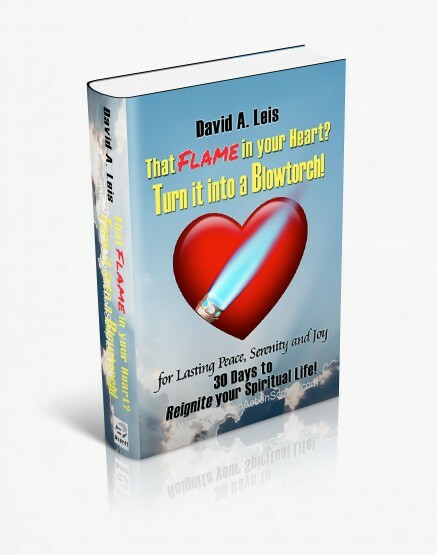 The message of the book, “That Flame in your Heart? Turn it into a Blowtorch!” is very simple. Yes, I have walked through a proverbial ‘hell’ but managed to find peace, serenity and joy beyond anything I could have ever comprehended. The reader can walk that path with someone who has already been there and discover it for themselves, now. While there is still time, before their own time of need is upon them. And in doing so, they will attract others to an intimate dialogue with the Person of Jesus Christ. We are at a tipping point, now is the time of preparation. We are in the “…final confrontation…” of St. John Paul II. May peace, serenity and joy be yours as Jesus turns that flame in your heart into a Blowtorch! That Flame in your Heart? Turn it into a Blowtorch! is available now. Click the button below to purchase it from our store today! 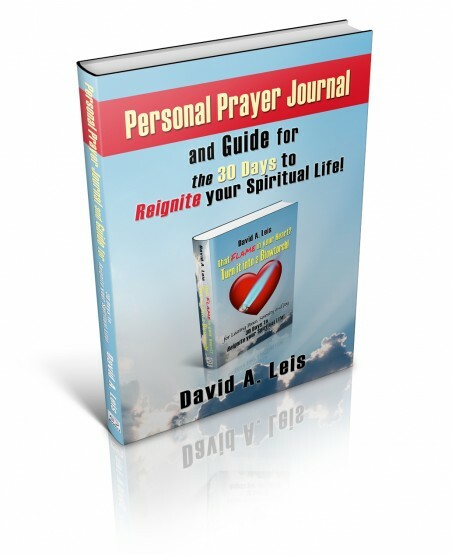 Prayer Journal and Guide to the 30 Days is available now. Click the button below to purchase it from our store today!